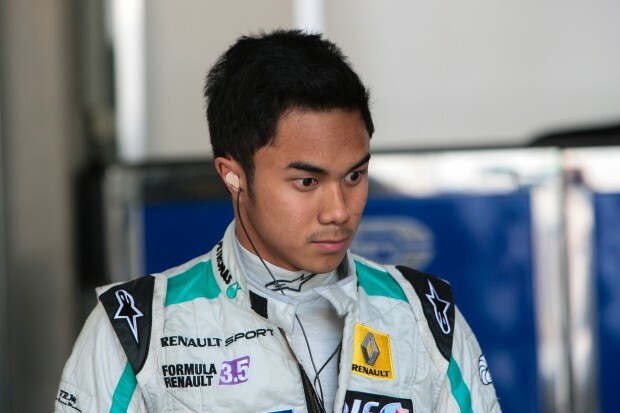 Leading international Malaysian racing driver, Jazeman Jaafar, was forced to miss the final round of the Formula Renault 3.5 Series in Barcelona at the weekend, after being taken ill with a glandular infection. The illness took hold after his arrival in Spain and was so severe that he was treated in a local hospital. After being diagnosed with Parotidis, the 20-year-old driver was given medication and advised to rest. The severity of the illness led to the World Series by Renault officials declaring him unfit to race and Jazeman returned to the UK for further treatment and bed rest to recover from the illness. Jazeman, a PETRONAS Talent Programme driver, said, “I’m absolutely gutted to have missed the last round of the Series, but I had no option. I have to take my health very seriously and the mission now is to recover as quickly as I can so that I can return to full fitness and prepare for the Macau Grand Prix”.